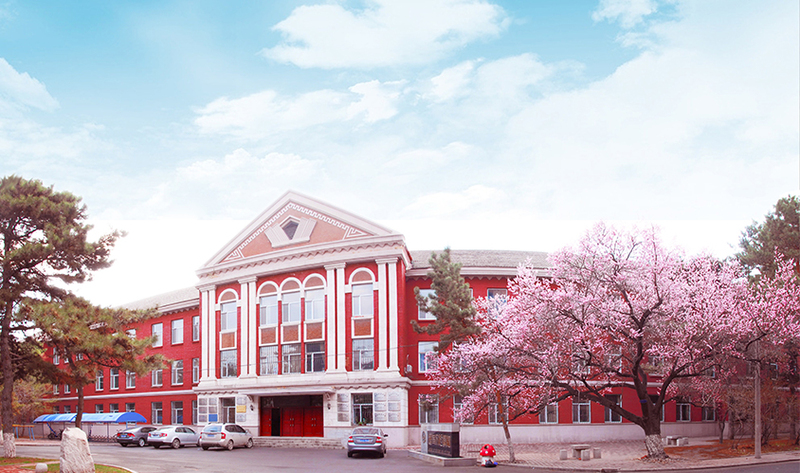 The School of History and Culture grew out of the Department of History which was established in 1949.It was the first academic institution founded by the CPC in Northeast China, aiming at training educators and academics in the field of history. Since its establishment,the school had the honor of providing tenures to a number of historians including Yang Gongji, Guo Shoutian, Chen Lianqing, Xu Xichen, Zhang Liang, Zhao Lisheng, Sun Shou Ren, Lin Zhichun, Ding Zemin, Liu Zuochang, Li Xun, Zhu Huan. Today the school consists of the Department of Chinese History, the Department of World History, the Department of Archaeology, the Department of Tourism Management, along with 7 institutes, 3 research centers and 1 research workstation. Chinese History and World History are class-1 doctoral degree disciplines and offer post-doctoral programs, and Archaeology is a class-1 master’s degree discipline. There are currently 83 full-time teachers in our school including 31 professors(including 3 foreign professors, 1 professor from Chinese Taipei).There are 1 Chang Jiang Scholars Chair Professor, 1 Chang Jiang Young Scholars Professor,1 member of the New Century National Hundred, Thousand and Ten Thousand Talents Project, 1 member of the Ten Thousand Program(for Leading Talents in Philosophy & Social Sciences),1 member of the Top-notch Young Talents Program,1 member of the Program for the New Century Excellent Talents in Universities, 1 member of the ChangBai Mountain Scholars Program (Jilin Province) working with the school. We currently have 591 undergraduates, 326 postgraduates, 135 doctoral students. In order to go further on the path of international development and contacts, the school has built up close working relations with overseas academic institutions such as the University of Tokyo, the Kyoto University, the International Research Center for Japanese Studies, the Ohio State University, the University of Wisconsin, the University of California, the University of Hawaii, the University of London, the University of Birmingham(U.K.), the University of Hong Kong, the Chinese University of Hong Kong, the National Taiwan University, the National Taiwan Normal University. Every year, we send students and young teachers to study or engage in advanced studies abroad. Furthermore, we publish the Journal of Ancient Civilizations (with its Chinese version 《古代文明》) and theJournal of Foreign Studies, providing platforms for scholarly exchangesand being acknowledged for their extensive academic impacton related fields, both domestically and overseas. We pay high attention to enhancing the librarieswith fundamental literature, purchasing and collecting a large number of essential books along with other necessary materials(in total over 100,000 volumes (status 2016)). Our research libraries coverbooks on ancient Chinese classics, literatures in Egyptian hieroglyphics, in Cuneiform, in Ancient Greek and Latin, multifarious books in Japanese and in Korean, and a variety of original documents of other east Asian nations. We also provide copious electronic databaseswith a variety of subjects like classical civilizations, feudal social formations in Europe and Asia, cities and immigration in the U.S., declassified diplomatic documents from Japan, the U.S.and European countries, along with related printed books. Histories make menwise, and communication brings us progress. Therefore,we sincerely wish and aim to work with our partners from both China and other countries, to build a platform, where we can (a) exchange and discuss our new ideas, (b) further innovations in education, (c) review history and (d)build a better future for us all. Adhering to the motto “Stay truthful, stay practical, work for the cultivation of humanity”, we endeavor to advance on the path of connotative development in academic research and educational practice.As traditional fieldsof our school, Ancient World History, Medieval World History, History of the United States, the History of Ming Dynasty and the History of Qing Dynasty, Comparative Studies of Civilizations enjoy substantial academic resources and showcase vibrant academic features of our school. As a new branch of historiography, the History of East Asia has presented some unique perspectives and new ideas, fully exhibiting its geographical advantages and drawing scholarly attention from both China and other countries.A report by the Department of History of the MOE’s Commission of Social Sciences shows that NENU has been recognized as the key academic institution for studies of “Classics” and ”History of East Asia” in China. Meanwhile the Pre-Qin History and the History of the Qin-Han Dynasties, the Regional History of Northeast China, the Preservation and Planning of Cultural Heritage, the History of Historiography and Tourism Education have also developed considerably. The school has successively rolled out the Studies of Regional Civilizations Series（《区域文明研究书系》）, the Collection of Translated Western Classics（《西方古典学译丛》）, the Studies of World CivilizationsHistory（《世界文明史研究》）. On account of their symbolic significance they have earned unanimous appreciation among academics in related fields. In recent years, academics ofour school have published more than 300 articles in professional and influential journals like Social Sciences inChina, Historical Research,Journal of Chinese Historical Studies, World History, Modern Chinese History Studies, Acta Archaeologica Sinica, Acta Orientalia (Japan), Studies of Intellectual History (Japan), Ming Studies (Chinese Taipei), Twenty-First Century(HKSAR); famous professional institutions like Zhonghua Book Company, Commercial Press, National Taiwan University Press, Kyoto University Press, SDX Joint Publishing Company have witnessed and supported the publication of about 100 books by our scholars, wherefrom 6 have been selected into the National Achievements Library of Philosophy and Social Sciences. Over 50 national and provincial-ministerial Honors (such as the first prize of the National Award for Outstanding Achievements of Colleges and Universities in Humanities and Social Sciences) have been won, and we have undertaken over 100 academic projects including the Xia-Shang-Zhou Chronology Project, the MOE’s Key Projects of Philosophy and Social Sciences,projects supported by the MOE’s Humanities andSocialSciencesFund and the National Project of the Compilation Of Qing History.According to a report by the MOE’s Academic Degrees and Graduate Education Development Center, our “World History” as an academic subject has been ranked first in 2011 and second in 2012. Teachers with our school hold fast to the Cultivation of Humanity as their natural vocation. Since the 1950s they have participated the compilation of textbooks such as Ancient World History, Medieval World History, History of Ming and Qing Dynasties, History of Ancient China, Outline of World History, and all of them have had considerable influence in both the theoretical and educational fields. In Recent years our teachers have undertaken academic projects like thecompilation of Key Textbooks for the Research and Construction of Marxist Theory and more than a dozen of national and provincial teaching programs, they have won more than a dozen of honors including the National Award for Outstanding Teaching Achievements, the National Excellent Courses, the MOE's Award for Excellent Textbooks, the Provincial Award for Outstanding Teaching Achievements(Jilin), and we have one Excellent Teacher with National M.ED.Professional Degreeand one Excellent Teacher of Jilin Province. While studying at theSchool of History and Culture, our students regularly publish high-quality papers in academic journals such as Historical Research,World History, Historiography Quarterly, 1 doctoral dissertation won the National Award for Excellent Doctoral Dissertations, while 3 won the award nomination of the above-mentioned award. For years in a row our students have won the National Award for Outstanding Scholars in Historiography and showed good performances in the National Teaching Skills Contest. For years our graduates have been the pillar of China’s theoretical studies in history and historical education, while senior alumni such as Zhu Shaohou, Wu Yannan,Yuan Shuyi and Zhan Ziqing have become well-known scholars both in China and internationally. The school regularly organizes activities like the “Young Historian Forum”（青史论坛）, the “Young Historian Saloon”（青史沙龙）, and has also established the academic journal Su Yuan（《溯园》）for students. We hold conferences and workshopsboth domestically and internationally in order to provide an inspiring atmosphere for our students. .